Nikken Kosakusho Europe are delighted to have been shortlisted in this years prestigious MWP Advanced Manufacturing Awards. The ceremony will be held at the Birmingham Metropole Hotel on the evening of Tuesday 8th April 2014. As usual the evening is timed perfectly for the MACH 2014 show at which Nikken have a stand in Hall 5 (5548) where, along with the hopefully award winning TiTAN X-TREME Solution, the rest of our quality products and soluti ons will be on display - amongst one or two exclusive new surprises! 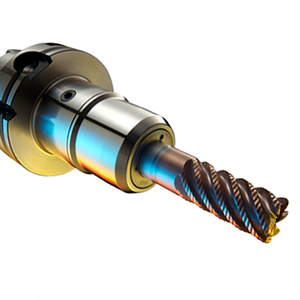 Our TiTAN X-TREME Solution is a finalist in the category of 'Best Cutting Tool' which includes products ranging from Cutting Tools, Geometries, Coatings, Inserts, Tool Holders and Tool Holding Systems. TiTAN X-TREME is now being utelised in production globally at numerous leading Aerospace manufacturing companies. These manufacturers selected TiTAN X-TREME for the reliability, performance and productivity increases that the solution provides and hopefully the judges will also select Nikken as their preferred choice! Here's to a great evening!